As a child, I remember being impressed by a lyrical and deeply symbolic painting of the Russian painter Vassilyev "The Man with the Eagle Owl". Now, I am paying homage to this great picture. 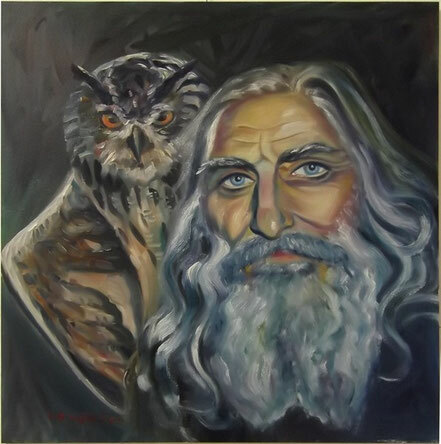 The prototype for the wonderful face of the bearded man is the Ukrainian painter Lev Skop, whom I saw in the news lines from the Maidan in Kiev in dramatic February 2014.